Toto Wolff might have been looking through his fingers as he saw Lewis Hamilton's latest off-season thrill-seek – a skydive! The five-time Formula 1 world champion has had an adrenaline-raising off-season thus far, combining surfing lessons with a new passion for free-falling in the air. The Mercedes star has taken surf lessons from board legend Kelly Slater, and even called surfing his new favourite sport earlier in the off-season break. Perhaps keen to find a pulse-raising activity to match the F cockpit, however, Hamilton has now taken to throwing himself out of a plane – thankfully landing safely to share the experience with his near 10million Instagram followers. 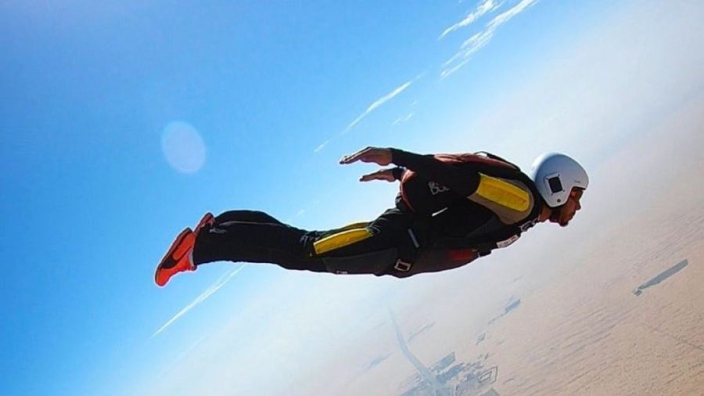 He posted: "Got my skydiving license the feeling of free fall is incredible. Surfing and skydiving in the same day is the ultimate day for me. Have you skydived yet? If not, put the fear aside and go #freedom"